*UPDATE: With our conversion from Carrier Deliveries to the US Postal Service, our number of deliveries has increased from 30,672 to 35,447 Homes. 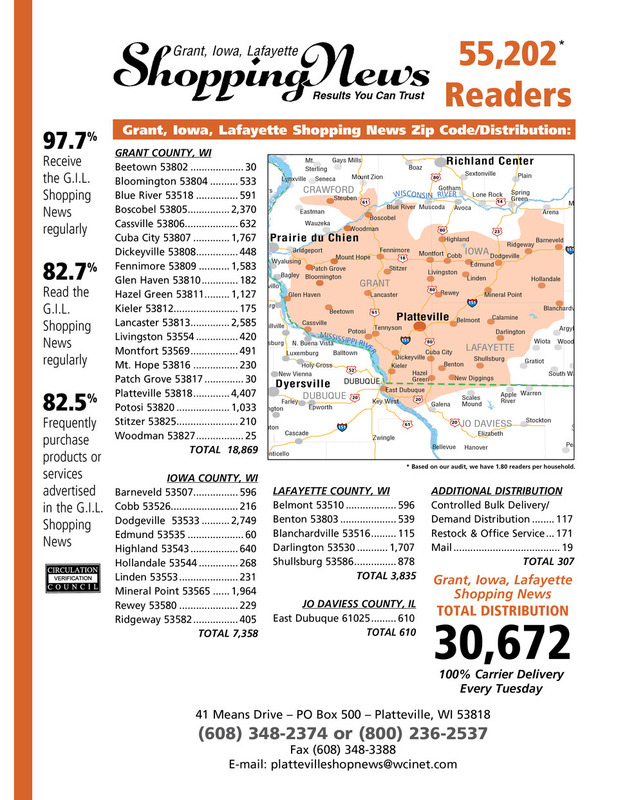 Grant, Iowa, Lafayette Shopping News reaches 35,330 households. approximately 2 people per household (1.8) or 54,450 readers. The Shopping News includes numerous pages of ads and information weekly. Based in Platteville we serve Grant, Iowa, Lafayette Counties. Our distribution is audited by an independent company which awarded us the Gold standard for distribution in 2010 We are over 97% accurate in our deliveries each week. We also publish travel guides, maps, special feature sections, and an online electronic Shopping News identical to the print publication. All of the website addresses in our E-edition are hot, So, you can link to an advertiser while reading the e-edition. Our success is recognized by major retailers like Menards, Blain's Farm & Fleet, and Piggly Wiggly who insert flyers weekly. Owned by Woodward Communications, Inc. we publish other Shoppers and newspapers in adjacent markets including Eastern Iowa, Prairie du Chien, Richland Center, and areas near Madison. We're an employee owned company which means the dollars stay local. We are the paper to reach Southwest Wisconsin. 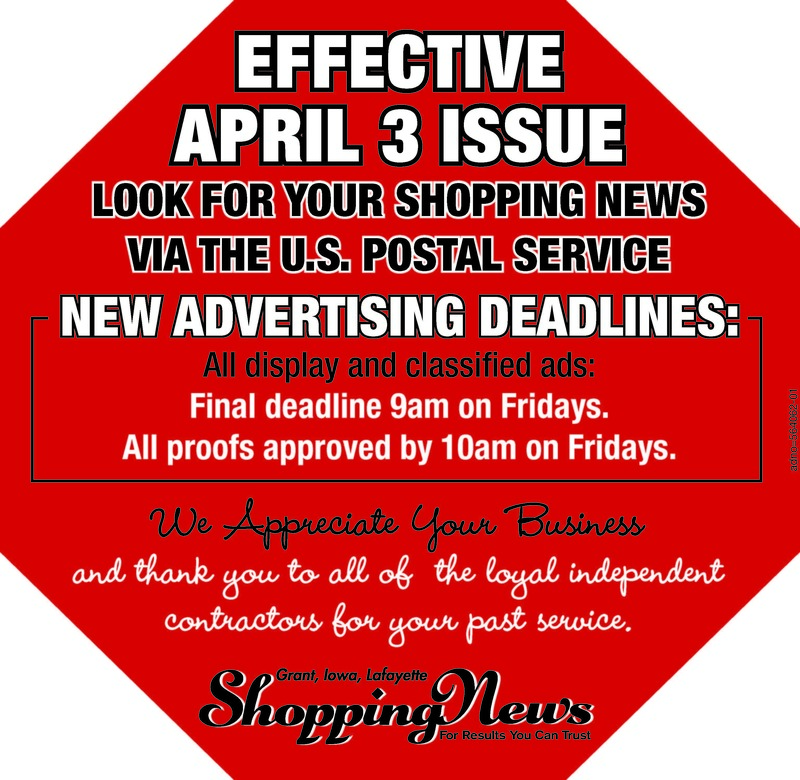 To deliver the Shopping News please contact Shelley Brown at 608-348-2851.